Cumbia Blazera is the fundraising arm for the Sunday Blazers Football and Culture Club. 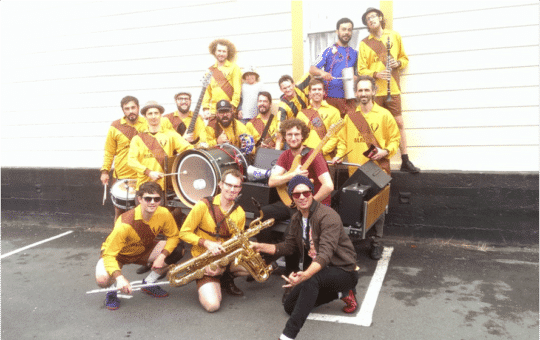 Formed in 2014 they tapped into their latin style of football and just started playing cumbia music. Some say it was magic but others say it was probably the easiest music for them to all remember quickly! Cumbia Blazera have been bouncing dance floors during a Havana residency in 2016 and 2017, Cuba Dupa, the Performance Arcade, and the famous blazing saddle parade at the Newtown Festival. The band completed a spiritual journey in 2017 by travelling to Colombia to perform at parties and festivals, and play football.